Manufacturers have increased the variety of genus specific fertilisers. At one time variations on the proportion of NPK was enough with Fish, blood, hoof, horn and bone and Growmore amongst the staples. Rose food, ericaceous plant fertiliser and seaweed extracts were then made available with the allegedly all too necessary ‘trace elements’. Good husbandry will replace most Plant specific fertilisers if you follow the basics. Bonsai food and Palm fertiliser are available from Chempak which is now owned by Thompson & Morgan as are Orchid growth and Orchid bloom food. Baby-bio Orchid feed is identical to baby-bio normal except it is watered down by 50% and packaged in a different colour. Peonies and a special Peony fertilizer from Thompson & Morgan. Dicentra are both photogenic and artistic. 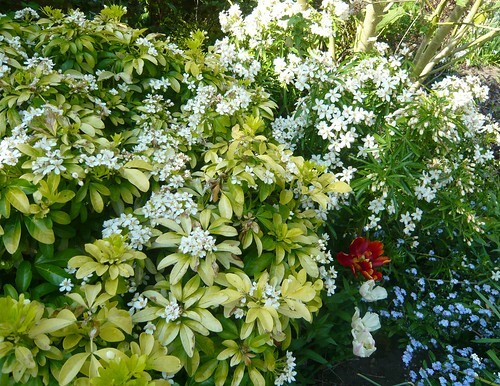 We often feature them on our Gardeners Tips site as they are rewarding plants to grow. Plants are widely available for less than £10. 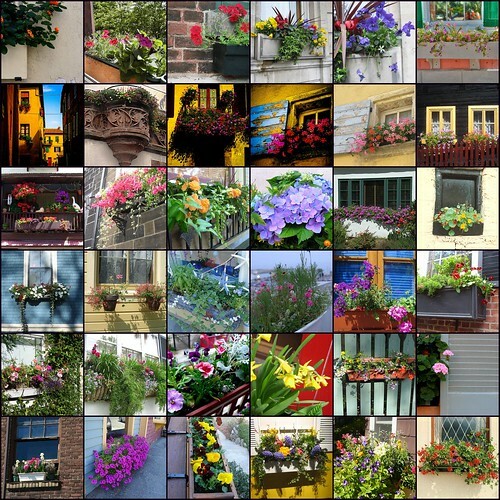 A 10×8 Print features an image chosen by Science Photo Library. Estimated image size 254x169mm. 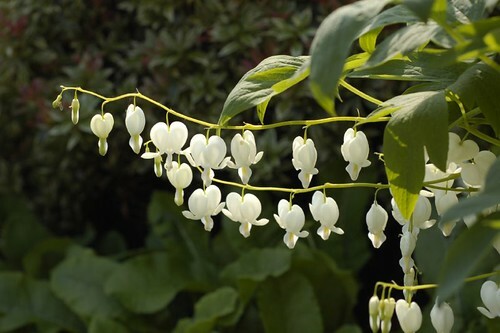 Image Description: Bleeding Heart (Dicentra Specabilis Alba) in flower in the spring. Can you use last years garden chemicals for this season? Do your herbicides, composts, fungicides and pesticides have a shelf life and if so for how long? Let’s look at ready made garden chemicals, mix them yourself chemicals and dry goods. These chemicals should not loose their potency from one year to the next. Do not store them in conditions of extreme heat or cold. The factory based mixing should have been done so there is no chemical reaction between the constituent parts of the mixture. Concentrates that that you have mixed yourself can go off within a day or so, certainly the shelf life is less than a week. The concentrate will last but the act of mixing with water can cause problems. Impurities in the water and even air bubbles can start a chemical reaction that renders the solution unviable or not fit for purpose. As long as powders and granules are kept dry, in suitable packaging and at a reasonable temperature they will have a good shelf life unless indicated strongly on the packaging. 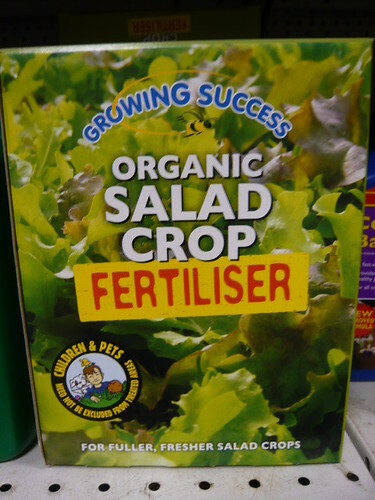 Growmore and granular fertilisers should have a good shelf life. Mix it your self fertilisers like Chempak have a good shelf life but make sure they are properly dissolved when mixing them. Composts and soil mixtures have a shelf life of around six months. Fresher the better. Where a product can get damp or starts damp it will deteriorate. Always read the instructions and dilute to the correct strength. Beware old chemicals should not be kept after they have been declared unsafe by EEC regulation. Treat homemade organic chemical mixes with the same care as bought chemicals. Keep equipment clean and wash out when you are finished. Pesticides and other chemicals don’t spoil suddenly. They deteriorate over several years and even at 70 to 80 percent they may still be effective. 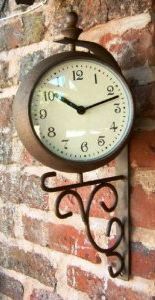 If you want to know the time ask your gardener or at least consult his antique rust coloured clock. As a bonus this clock also has a stylish thermometer on one side and a clock on the other face. With this garden feature you will know it is too cold to be putting your seedlings out in march (as if that ever stopped me from getting it wrong). The clock is suitable for indoor or outdoor use and is mercury free. It is available from Amazon for about £32. 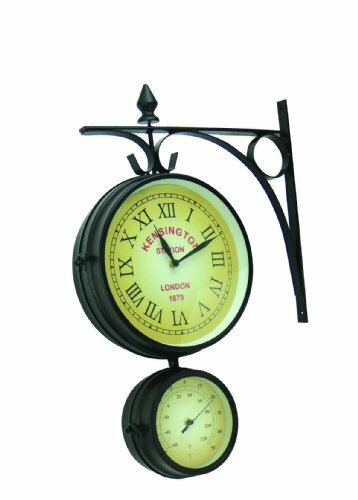 The 9″ Paddington station Garden clock is more ornate but only costs £22 not shown. Some of our costs are defrayed by the affiliate income we get if readers buy there plants from Thompson & Morgan or Jersey plants so I do not apologise for giving them a plug. Plugging away on that theme, click on the top right and peruse the seeds and plants that you want to buy this year. The prices and deals are the same as you would pay even if you were not helping us! Saving seed or collecting it as you walk around can produce some interesting plants. I like to collect wild rose hips and grow on the seed. 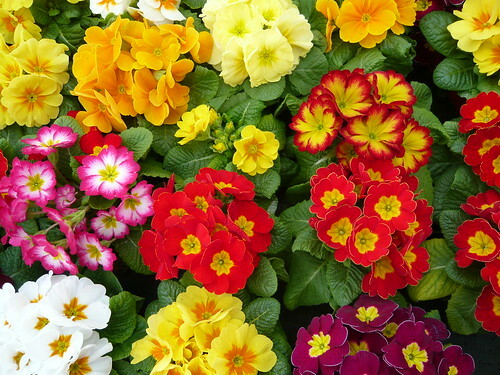 Beg plants from friends and neighbors, they are often generous if given a little praise about their garden. Split clumps of hardy perennials to increase the number of plants. Some just need the roots pulling apart like the primroses shown above. ‘The Garden tools of the proletariat will rise and overthrow the bourgeoisie with their flymo’s and strimmers’ according to the photographer of ‘Garden Tools by tim ellis’ under CC BY-NC 2.0. 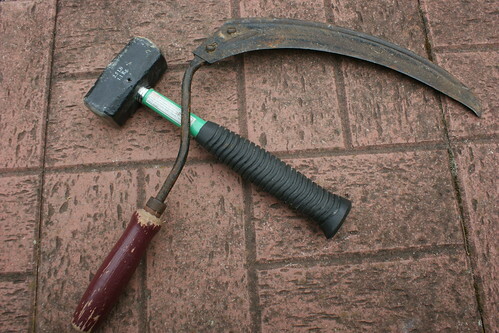 So not quite Russian gardening tools but the hammer and sickle have there uses in revolutions and gardens. I have a double skinned boundary wall for alpine and rock plants. A rouge buddleia seedling with big roots pushed part of the wall down and my wife needed a hammer to clean up the stone to rebuild the wall. I do the easy planting and used a hammer to get a tree post and climber pole deep enough for the intended support. Meanwhile my wife was laying rolls of logs between the concrete path and the herbaceous bed. To partially bury the log roll she used the hammer to crush down the stray rubble foundations. I use drink to get hammered but that is another story. Apart from cutting off my head it is hard to see what use the sickle will be, although the resulting blood can feed the plants. Long grass, old stalks and stems can be tidied up in one fell swoop or sweep of a sharp tool like the one pictured. I do have a Japanese weeding sickle that I was given as a present and it does a good weed and rooting out job. I have seen some other names for a sickle including a scythette, a grass hook and a hand scythe. A weed slasher is a tool of a different ilk. It makes sense to plan what plants you put where and therefore what plants will be next to other plants. At the extremes you wouldn’t put Cacti with bog plants and there are many combinations that would be ridiculous. 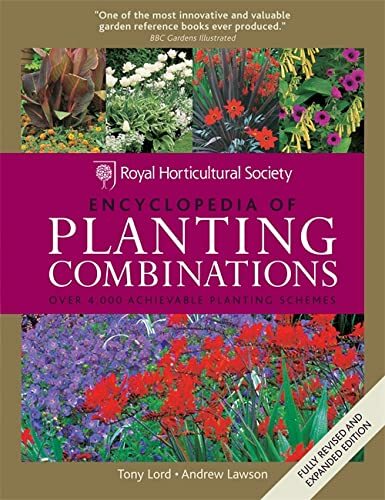 This book for March considers a range of reasons for combining plants to make good combinations. Mutual support in the form of prevention of insect attack or supply of nutrients. Bringing shape, colour, texture and form together in an aesthetically pleasing manner. Harmonising with natural features within the gardenscape or wider landscape. Good companions working in harmony enhance the garden. Conflict plants can distract from the overall garden. 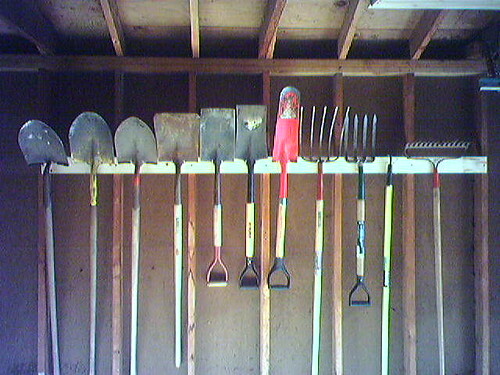 When I say hang up your garden tools I do not mean you should stop gardening, quite the opposite. 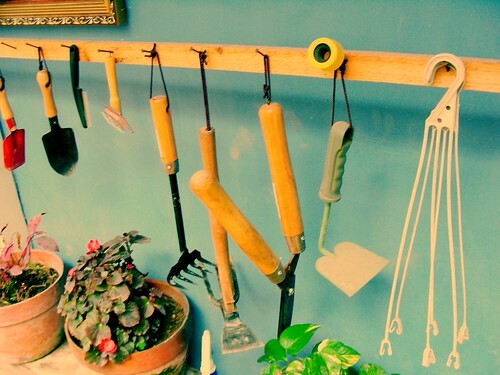 You will get more gardening completed if you can find the right tool, in the right place, at the right time. 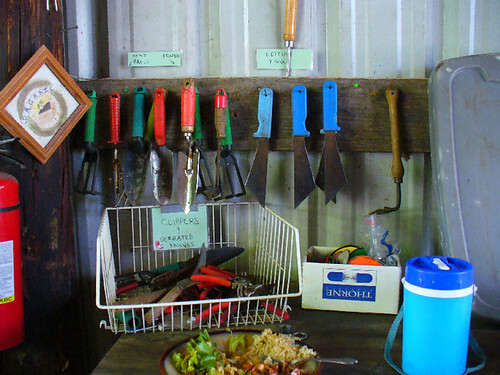 Hence my quick selection of ways to hang up your garden tools from a range of photographer-gardeners. The DIY model has much to commend it. You can tailor to fit your shed, garage or work space. You can vary height and inter tool spacing and use your own design flair. I like the string through the handle method rather than the nail in the wall style. Well stored tools should not be damaged as easily as those thrown into a box or drawer at random. It is easier to see which need oiling, cleaning, sharpening or repairing. Unfortunately it looks like someone has hung up their garden tools and left them to the spiders and their webs. Old tools need venerating and some have become real collectors pieces. Some of these older spades have had new shafts fitted and I know of some really old tools that have had several new handles and 3 new blades! Advice on how to come through winter with plenty of vegetables stored and for growing plants to withstand the winter. Growing tips for eating in spring during the hungry gap season of April, May and early June. Winter and early spring require a different kind of gardening to the summer months. Not a lot grows at this time but a well planned plot may nonetheless be quite full. If you have a hungry family to feed then have a read. 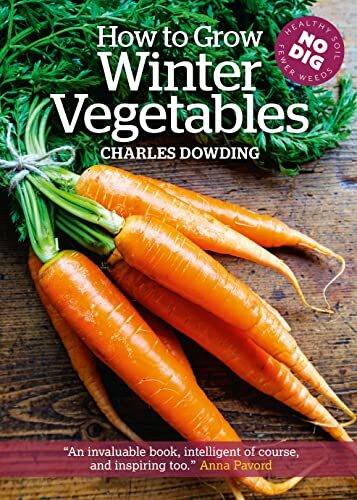 If you like fresh home grown produce have a gander at this books ideas and advice. If you thought salad could only be grown in summer think again. High producers that take up little space make fantastic sense and this book has lots of help with salad crops, raised beds etc. I like the idea of winter making the garden an outdoor larder. That is OK if the soil has the chance to get reconditioned.